Scientists in Britain revealed Monday they are on brink of a revolution in the production of titanium, a metal widely used in defense. The government's Defense Science and Technology Laboratory (Dstl) in Wiltshire has revolutionised the production of titanium by reducing what was a time-consuming and costly 40-stage process down to just two steps, potentially halving the cost. 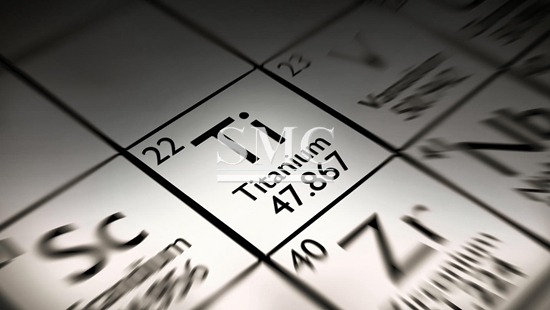 Titanium is as strong as steel and half the weight, but around 10 times the cost. It is notoriously difficult and expensive to make which limits its wider use, said Dstl. Titanium's high strength, lightweight and corrosion resistance sees it widely used in defense, in military aircraft and submarines, but its high production costs make it difficult to justify in all but essential areas. Defense Secretary Gavin Williamson said: "This groundbreaking method is not only faster and cheaper but could see a huge expansion of titanium parts and equipment throughout the military. It is a clear example of how our world-class scientists are working behind the scenes to help our armed forces as well as bringing prosperity and security to Britain." Dstl helped to fund the new research project at the University of Sheffield, which led to the development of the new manufacturing process. The breakthrough came through the development of a special forge, known as FAST-forge. "FAST-forge is a disruptive technology that enables near net shape components to be produced from powder or particulate in two simple processing steps. Such components have mechanical properties equivalent to forged product. "For titanium alloys, FAST-forge will provide a step change in the cost of components, allowing use in automotive applications in automotive applications such as powertrain and suspension systems." Matthew Lunt, the principal scientist for Materials Science at Dstl said: "We're really excited about this innovation, which could cut the production cost of titanium parts by up to 50 percent. With this reduction in cost, we could use titanium in submarines, where corrosion resistance would extend the life, or for lightweight requirements like armoured vehicles." So far, small-scale trials have been carried out, but a new large-scale fast furnace facility has been built and will enable larger components to be produced for testing.